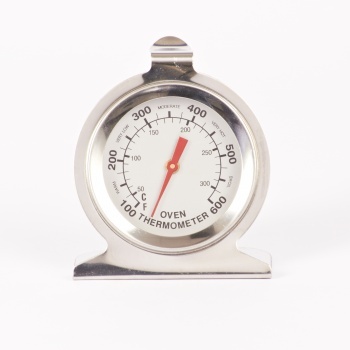 With a clear and easy to read face, our Bi-Metal Oven Thermometer is an affordable way to monitor the temperature inside your oven in order to achieve better results from your cooking. Simply stand the thermometer in your oven or hang it from one of your oven shelves, ensuring the face is visible through the glass door and proceed to cook your culinary masterpieces. Perfect. I just bought a new mini oven and needed to test that the thermostat was working. This was just what I needed to confirm oven temperature. Also fast delivery - thanks. Easy and problem free purchase and a fast delivery. The purchase was exactly as advertised, thank you. 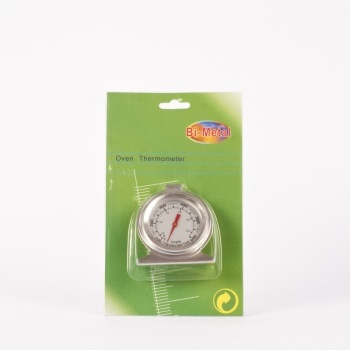 I bought this oven thermometer to check the accuracy of my oven. It seems to tally exactly. However the main prominent scale is in Farenhite and the centigrade scale is smaller and difficult to read through oven window.